Use this code in the checkout and you will get a 15% recurring discount on your purchase. For most users who regularly use the Internet, security is a priority. Some just need to remain anonymous. Also, very often a person needs to access a site that is closed to him for certain reasons. Is it possible to avoid these situations? Yes. The proxy server will help with that. There are a lot of online services providing proxy servers to access forbidden resources, provide better security or make your online activity invisible. IPLease is one of them. Let’s review the service in detail and check all its advantages. IPLease is a provider of proxy services that provides its users with a wide range of servers for various purposes. You can choose the Earth sources to use with advertisement websites, social networks, ticketing, shopping and gaming platforms, SEO packages, as well as semi-dedicated servers. So, you will be able to use their IP addresses for anything you may ever require. All the prices are quite affordable and there is a variety of plans for each type of server. The company has been working since 2008. They created a huge infrastructure with more than 100 locations all over the world. The majority of their IP addresses have never been used by anyone before. So, you will be able to use them for projects of any complexity. IPLease’s working scheme is very similar to any other services. When you activate your proxy and configure the software to work with it, your requests will be redirected to the proxy located in the specific data center. After being processed, the request is forwarded to the web resource you are going to access. As a result, the final resource will think that you are from the country where the proxy server is located. Nothing difficult, everything works just perfect. Dedicated servers. No matter what kind of server you choose to use, all the servers are dedicated. What does it mean? The IP address of the location has never been used and you are the only owner of the proxy. Two authentication methods. On any package, you can log in to the service by IP authentication or by using your login and password. Multiple locations. The company provides many physical locations. However, they all are located in Europe and the United States. Fast activation. Officially, after the order is placed, your package will be activated in about an hour. However, in our case, it took almost 3 hours to get the package activated which is OK.
As you can see, they cover the needs of almost any customer. If you need a minimal package, the price will be really attractive. At the same time, you can buy a more expensive package to satisfy the needs of a high-productive user. Choose the required type of proxy, select the tariff plan, and click the Sign-up button. For the test, we selected the SEO proxy, and the cheapest plan available for $2.10 per month. Next, you should choose the billing cycle (1 month, 3 months, yearly, or more), proxy region, and the software you are going to use with the proxy. The next step is to fill in the personal information and choose the payment method. At the moment, IPLease supports Bitcoin and PayPal. Keep in mind that you should add your phone number without the country code. If everything is okay, the system will create an account for you. But, as we mentioned above, you have to wait for up to 1 hour to get the proxy package activated. However, in our case, it took almost 3 hours to get the package activated. However, even before activation, you will be able to see the ordered proxies. In that case, they will have the pending status. Click on the package to see the details or request cancellation. In the next step, you will be able to configure the authorization. As mentioned earlier, you will be able to choose IP authorization or login and password. The pop-up windows provide all the necessary information about each type of authorization. All the servers are the dedicated ones based on Intel Xeon processors with more than 16 gigabytes of RAM. They work fast and reliable. Each of them uses the fiber connection of 1 Gbps. The company guarantees an uptime of 99.9%. USA: Chicago, New York, Dallas, Miami, Seattle, San Jose, Los Angeles. During the registration, we chose the European region but the company provided an American proxy. Nevertheless, it worked great. Having bought the subscription, we performed several tests. 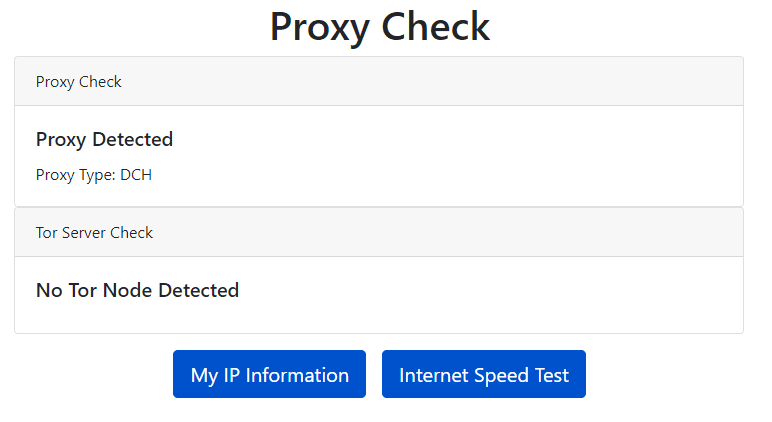 We used a proxy check, location test, and a speed test. Here are the results. This test shows whether the remote server detects your IP as a proxy. The system detected us as a proxy. 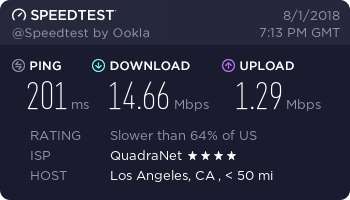 We got a server based in Los Angeles. For SEO services it can be critical to use a specific location. 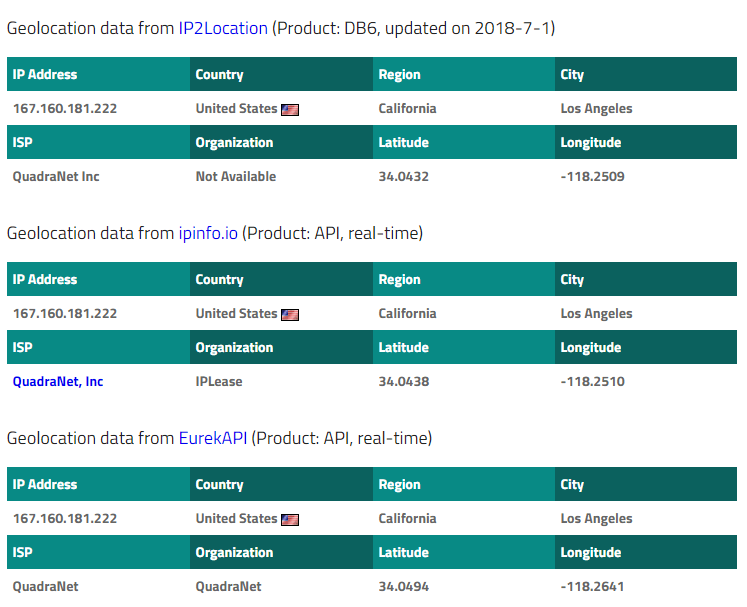 As we see, all 3 popular services detected the location in Los Angeles. 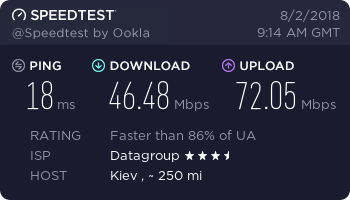 Later, we connected to our proxy and ran the speed test. The connection speed drops however, it is enough for most tasks. If you have any questions for the company’s specialists, you are able to contact the technical support. 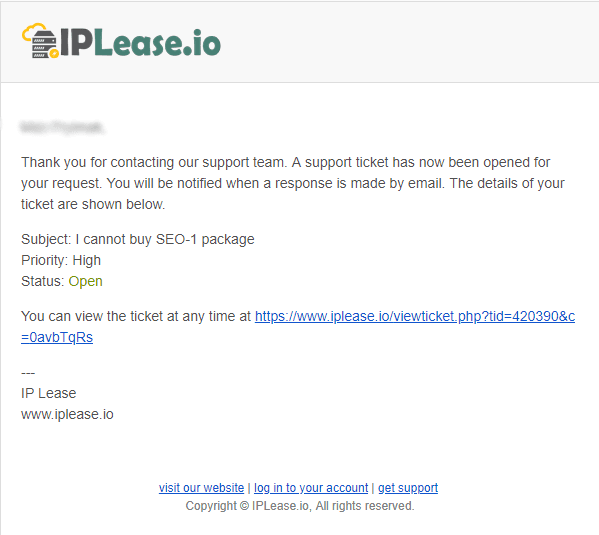 IPLease provides customer support by email. They work from 06:00 to 23:00 CST from Monday to Friday. Also, In the client area, you will be able to find the button to live chat with a specialist. However, the online chat wasn’t available when we tested it. We followed its online status for several days, and it was always offline. We had an issue during the registration procedure. We used the phone number in international format, and the system replied that the phone number is not valid. We asked the tech support for help. We created a ticket on the website form and submitted an application. In several seconds, we got an email with the confirmation. Were they operative? We heard from them in about 9 hours. Our issue was solved. A wide range of dedicated servers. Variety of plans with good prices. Customer support could have responded faster. Online chat wasn’t available when we tested. I’m happy with the experience with IPLease. We only tested a small part of their plans, but the results were good and we do recommend to give them a try.